We launched Sia Bounties two weeks ago with a bounty for a Sia + Minio integration, and received an overwhelmingly positive response! David Gore (user dvstate) quickly submitted a high-quality integration only two days later, and has been working diligently with several testers from the Sia community to refine and improve the Minio integration. Today we are thrilled to announce that the integration is ready for wider use, and it brings some very exciting new file sharing features to Sia! Minio is a distributed object storage server, which allows users to connect to any data source (like S3, Azure, GCP), create buckets for file storage, and then share URLs to the files. It also provides an external S3-compatible API. With the Sia integration, Minio users can now store their files on the Sia network for a fraction of Amazon’s price. Here’s how the integration works. First, on Sia, the user deposits Siacoin and creates an allowance for storage on the network. Then, on Minio server, the user launches the Sia gateway, creates buckets, and starts uploading files. Uploaded files are first stored locally on the Minio server, and then uploaded to Sia. The upload is marked as complete once the file reaches 1x redundancy on Sia. From there, Sia will naturally boost the redundancy to 3x, storing the data across 30 hosts all over the world. When downloading data, the files are first downloaded from the Sia network to the Minio server, and then downloaded from the server to the user. Minio server caches the file for quick downloading. As the cache fills up, it will automatically delete the oldest files. This ensures that popular, frequently downloaded files will be fast, while less frequently accessed files will have a slight delay. 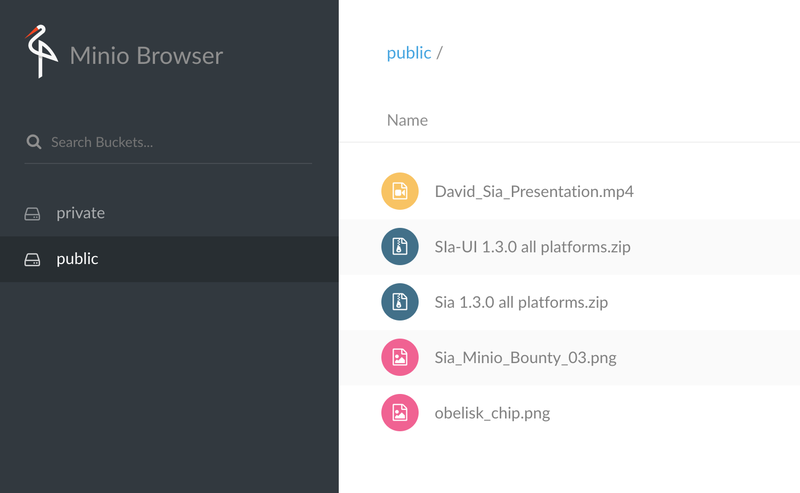 This means that, with the Sia + Minio integration, users can start using Sia for file sharing today! We are thrilled with the success of this first bounty, and are looking forward to launching the next bounty in a couple weeks. Congratulations to David Gore for winning the 300,000 SC reward! For questions related to the Sia + Minio integration, please join the #bounties channel on our Slack or post issues to David Gore’s Github repository at https://github.com/dvstate/minio. More detailed instructions for getting set up are available on the repo. It’s August, so this means it’s time for our second triannual update! We published the first update in April, and are excited to continue this new tradition. This post is long, but read on if you want to understand Sia’s amazing progress over the last four months and our goals for this year. We also realize that there’s a lot of uncertainty in the air, and we hope this post helps reassure our community. We’ve seen unprecedented community growth in the past few months, and we so much appreciate all your support and excitement for our product and our vision. So far, we’ve built a truly-decentralized, functional cloud storage network that allows users to upload files, hosts to sell storage space, and miners to generate Siacoin. We are one of the only projects in the blockchain space with a working product. We are committed to building Sia into a true Amazon S3 competitor, and ultimately into the storage layer for the entire internet. We are committed to building Sia into a true Amazon S3 competitor, and ultimately into the storage layer for the entire internet. At Sia, we believe in decentralization. We believe that your data should be fully private and in your control. We believe that everyone in the world should have equal access to affordable data storage, and should be able to tap into that storage layer without any centralized party getting in the way. We want to liberate the unused storage space of the world and unite it into a worldwide free market for data storage. This means that, rather than data being stored in giant data centers controlled by Amazon, Google, Microsoft, and others, it will be stored across thousands of Sia nodes — both large and small — throughout the globe. Moreover, we want to produce an enterprise-grade platform. We do notonly want to empower individual users; we want to also empower companies like Dropbox, Netflix, Slack, and so many others to store their data securely and for a fraction of existing prices with Sia. We’ve come a long way in the last three years. Today you can download Sia and securely upload files to a large network of several hundred hosts. You can sell your unused storage space and receive Siacoin, or you can hook up your GPUs (and soon your Obelisk ASIC miners) and mine Siacoin. But, of course, we have a long way to go. On our roadmap you’ll find file sharing, video streaming, and other features that are necessary to compete with Amazon. We are confident we will deliver on these features, and more, and build Sia into the storage layer of the internet. And we have an amazing head start — we are years ahead of everyone else in the space. We want to reassure the community that, contrary to some recent speculation, we very much care about the price of Siacoin. We know that a higher coin price means more credibility for the project and a more excited, engaged community. We also know that many of you have purchased Siacoin, at many different entry prices, hoping to make a significant return. Thank you so much for putting your faith in our team. The recent Boston Globe articlediscussed the challenges of building an enterprise-grade cloud storage network with a fluctuating Siacoin price. We were excited to be featured on the homepage of the Business section, but some of the quotes were not provided with sufficient context. The Siacoin price is very important to us. As a company, we do not spend our efforts trying to pump the coin price with paid advertising, exaggerated claims, or impossible forward-looking statements. Instead we spend the vast majority of our efforts on software development, building our decentralized cloud storage network. This will naturally increase the coin’s value in a far more sustainable way. Instead we spend the vast majority of our efforts on software development, building our decentralized cloud storage network. Since the end of April, Siacoin has massively increased from a market cap of $30 million, to a high of $600 million, to about $250 million at the time of writing. These kinds of rises and falls are pretty standard in crypto, and we are excited to see such large gains for Siacoin in such a short period of time. We are fully committed to seeing Siacoin in the top ten cryptocurrencies. We believe that we should be in the top ten, as we have one of the most ambitious visions, one of the best development teams, and one of the only working products in the entire crypto space. We will get there by building an incredible product surrounded by a strong organization. We are in this for the long-term. 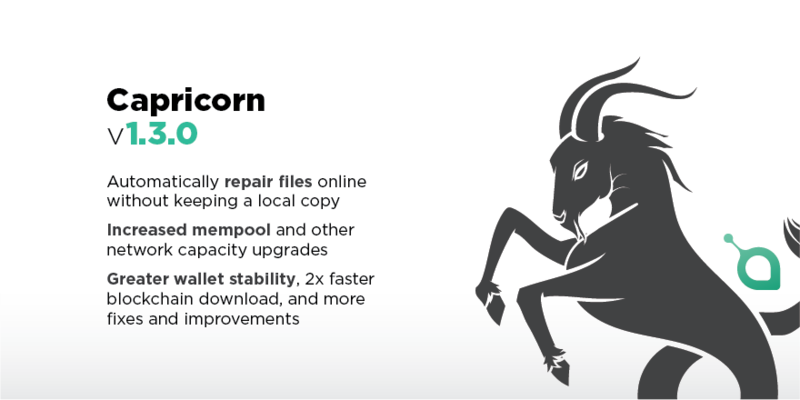 We released version 1.3.0 Capricorn in July. The update was packed with features, but remote file repair is the most important. If a host goes offline or loses user data, the Sia software quickly selects a new host and uploads the necessary encrypted chunks of files. Before v1.3.0, users had to store local copies of all uploaded files in order to perform this repair process. This meant that Sia could not be used for backup or archival purposes, as all uploaded data must also remain on users’ computers. But now, with remote file repair in v1.3.0, users can delete the data locally after uploading to Sia. But now, with remote file repair in v1.3.0, users can delete the data locally after uploading to Sia. The data will live on the Sia nodes, and bad hosts can be replaced automatically without having to retain local copies of user data. This means that, with v1.3.0, Sia is finally ready for archives and backups, and is a large step closer to being an Amazon S3 replacement. v1.3.0 also included important network scalability fixes to address some growing pains caused by a huge increase in transaction volume. And now users can run the same Sia wallet on multiple computers, download the blockchain twice as fast, and enjoy a less buggy and more stable experience. Since our last triannual update, I dropped out of Harvard Business School to join Sia as VP of Operations. We also hired Marcin, an MIT student and their Bitcoin Club President, as Software Engineering Intern. And we are thrilled to announce that, this week, Steve is joining the team, and Chris will soon be joining as well. Steve is joining us as Community Manager. He’s worked in training and support for both Apple and Comcast, and has grown his own Youtube gamingchannel to over 100,000 subscribers. Steve will be working hard to improve the experience across all our social channels, with a focus on moderation and tech support. Chris is a longtime Sia contributor, and he will soon be joining us as a Core Developer. He’s worked on the wallet and host reliability scoring, and is currently working on host scalability, automatic host pricing, and further reduced blockchain sync time. To date, Nebulous (Sia’s parent company) has raised $1.65 million from a combination of venture capital, angel investors, and grants, initially incubated by Jim Pallotta’s Raptor Capital. We were thrilled to receive a $400,000grant from INBlockchain in July to further support Sia’s growth. This grant came with no strings attached — Li Xiaolai, INBlockchain’s founder, is a Siacoin holder and angel investor in Nebulous. Additionally, our Obelisk presale has so far brought in almost $4 million of revenue. While this is being used to fund the design of 28nm ASICs for Siacoin and the production of mining hardware, profits from Obelisk will help further fund Sia’s growth and development. In the last three years, we’ve shown that we can do a lot with limited funds. In the last three years, we’ve shown that we can do a lot with limited funds. We’ve delivered the only truly-decentralized cloud storage product on the market, with our own proof-of-work blockchain. We’ve been very effective at deploying our capital, and have so far chosen to allocate the majority to software development. We plan to seek new funding in the near future in order to further accelerate our growth. These funds will continue to fuel our software development, but they will also be allocated to design, branding, marketing, sales, and PR. We’re confident that we can continue to effectively deploy our capital and stay far ahead of any other players in the decentralized storage space. For Obelisk, we placed a strong emphasis on design, working with talented designers to create a new brand and a new website. We will be turning this design focus to Sia-UI, Sia Explorer, and the Sia website. By the end of 2017, every existing Sia product and service will see a substantial design overhaul. By the end of 2017, every existing Sia product and service will see a substantial design overhaul. This will make our software more professional, more elegant, and far easier to use. Stay tuned! Our community has grown at crazy rates since April! Slack has grown from 2000 members to 8000, Twitter from 6000 followers to 23,000, and Reddit from 4000 subscribers to 13,000. We could not be more excited by the growth, and are looking forward to welcoming even more members to our community in the coming months. As mentioned above, we’ve hired Steve as our Community Manager. He will help us support and grow the community, and will have a strong presence across all our channels. We also have some big news! We will be moving from Slack to Discord in the coming weeks. Slack is built for company teams, and is lacking in capabilities and moderation tools. It is just not built for huge online communities — and with over 8000 members, we definitely qualify as huge! We will be moving from Slack to Discord in the coming weeks. Discord, on the other hand, is built for communities like ours. It includes complete message histories, member roles, moderation tools, voice chat, and many other fantastic features. More details on the move will be posted on the blog soon! We hope you are as excited as we are. Our contributors are crucial to Sia’s success. In the last release, we credited fourteen individuals for making substantial contributions. We also have a group of users currently working to build mining pool support directly into Sia’s core software. Additionally, we have many community members building apps and hardware on top of Sia. Some dedicated users formed a new company, called Luxor, that is building an overhauled explorer, mining pool, and lite wallet. Minebox sold out its hardware presale. 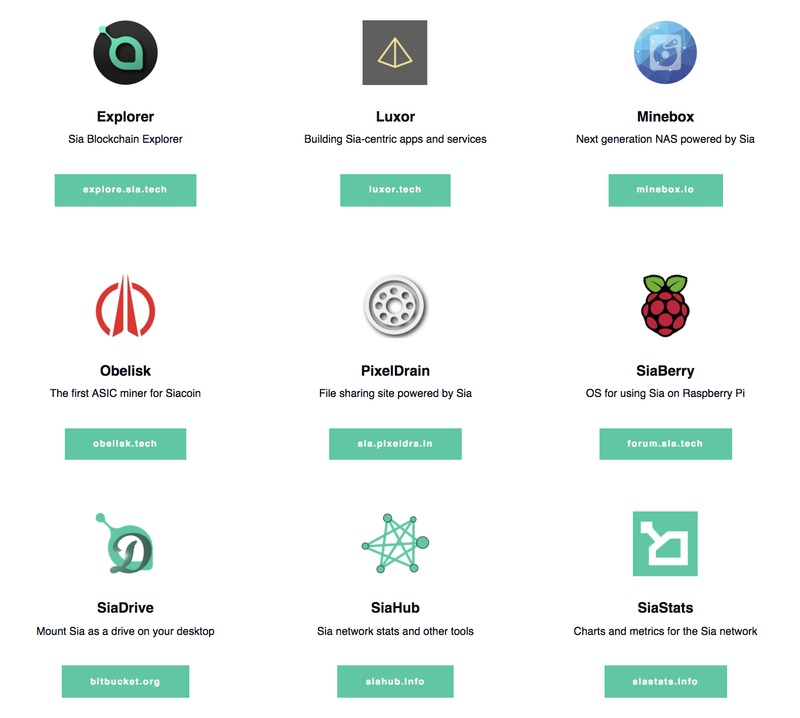 SiaDrive brings dropbox-style features, SiaBerryOSbrings Sia to the Rasperry Pi, SiaHubhas introduced an explorer, and the Wikihas grown substantially. Many of our members have also contributed through moderating our fast-growing communities. We have an amazing group of Reddit mods, Slack admins, and Forum mods. And many others have developed apps, written user guides, helped answer support questions, and much more. To all our contributors — thank you so much for helping grow and improve the Sia experience! We launched Sia Bounties last month to great success! Our first bounty was for a Minio integration for 300,000 SC, and it was completed in just days by David Gore (user dvstate). You can learn more about the bountyhere. Minio is a distributed object storage server, which allows users to connect to any data source (like S3, Azure, GCP), create buckets for file storage, and then share URLs to the files. It also provides an external S3-compatible API. Minio has agreed to merge the integration into their upstream code, which means that the standard Minio version will come out-of-the-box with Sia support! Anyone who is currently using S3 can try out Minio, and experiment with replacing their backend storage with Sia today. Minio has agreed to merge the integration into their upstream code, which means that the standard Minio version will come out-of-the-box with Sia support! We will be announcing our second bounty this week to add Sia support for a backup-related application. Stay tuned. We’ve seen excellent network growth over the last four months. Since April, we doubled the amount of file contracts from 100 TB to 200 TB. We tripled the storage capacity, from 1 PB to 3.3 PB. And the number of active hosts has increased almost 5x from 145 to 700. We only released v1.3.0 a few weeks ago, and we expect that the amount of data stored will continue to increase at a rapid pace. By the end of the year, we are confident that we will see even larger increases in these stats. We launched Obelisk, a subsidiary that is producing ASIC miners for Siacoin, in late June to much excitement — and to some controversy. ASIC miners do not have the best reputation, but Obelisk is a very important component of the Sia mission. I’ll summarize below, but you can read in much further detail on ourblog post. Summer is drawing down and Fall is closing in. In case you missed the Triannual Update or didn’t catch me in Discord — I’m Steve, the new Community Manager for Sia. I’ll use this space to get everyone up to speed on new Sia community developments, highlight stand-out projects from our users, and share my thoughts on what’s next for us. We care about you and what you have to say. We care about making a product that changes the face (or at least foundation) of storage. Those two things are inextricably linked. That’s what we try to keep in mind each day. Many of you are well aware that we’ve moved our community’s central base of operations to Discord, so I won’t drag this topic out too far. What’s worth mentioning though is how smooth the experience has been for our users. With over 3,000 members joined and a channel selection bot developed by community members @Aleks, @eddiewang, and @rudi, the Sia Discord server is a great place to call home. We have channels dedicated to Spanish, French, Russian, and German speakers (ask a mod to join), channels for discussing renting and hosting, and many others. We have the all important #help channel, the best place to get your questions answered. Discord will grow with us, and become better with us. It’s equipped to handle the needs of one of the fastest growing communities in the crypto space. Nebulous/Sia CEO David Vorick led a nearly six hour long discussion in Discord regarding Sia development, blockchain design, and industry issues. Users were welcome to submit questions and join in on the conversation, and we’ll soon have a link to the full archive on our website. David also did a user Q and A with The Next Web recently. They were gracious hosts, turnout was great, and you can read it all here. Sia Bounties allow us to reward our contributors for building integrations between Sia and popular apps and platforms. Our second bounty was for Duplicati integration and was completed in two days by user @fuffenz. Duplicati has gone on to merge the code, and we hope the functionality will be available soon. View the initial Bounty post here. Good companies attract great users. Great users make the companies they care about better. Sia delivers an amazing service that has brought some of the best users in the blockchain space to our community, and we want to highlight their creative work that has turned Sia into more than it was before. We’ll start off with Siaberry. 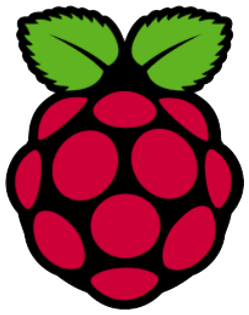 Siaberry allows you to run a Linux-based Sia hosting and renting platform built on Rasberry Pi 3. Developed by user @kete, Siaberry is one of the cheapest ways to get a Sia rig up and running. In Discord, ask a moderator to add you to #siaberry to join the discussion and get links to the necessary equipment! Learn more about Siaberry here. Obelisk is the first ASIC miner for Sia, built to strengthen and secure the best decentralized storage platform available. We know you want Obelisk updates. A proper update email will be sent to those who have already pre-ordered soon. Expect good things! If you haven’t pre-ordered yet, here’s the place to do it. In closing, I want to get your feedback. Open lines of communication are crucial to maintaining the kind of positive relationship that has brought you all here. I’ve got a short survey that I’d love for you to fill out. Feel free to contact me anytime via the info below. I’ll respond whenever I’m not changing diapers or making sure my dog doesn’t eat another entire stick of butter. Summer is drawing down, and Fall is closing in. In case you missed the Triannual Update or didn’t catch me in Discord — I’m Steve, the new Community Manager for Sia. I’ll use this space to get everyone up to speed on new Sia community developments, highlight stand-out projects from our users, and share my thoughts on what’s next for us. Many of you are well aware that we’ve moved our community’s central base of operations to Discord, so I won’t drag this topic out too far. What’s worth mentioning though is how smooth the experience has been for our users. With almost 4,000 members and a channel selection bot developed by community members @Aleks, @eddiewang, and @rudi, the Sia Discord server is a great place to call home. Sia Bounties allow us to reward our contributors for building integrations between Sia and popular apps and platforms. Our second bounty was for a Duplicati integration and was completed in two days by user @fuffenz. Duplicati has gone on to merge the code, and it is currently available here for testing. We hope the finished integration will be available soon. We know you want Obelisk updates. A proper update email will be sent to those who have already pre-ordered soon in the next couple weeks. Expect good things! Historically, we have seen that storing any tokens on an exchange can be risky. We wanted to provide an update on recent actions taken by two exchanges that currently support Siacoin, and what precautions you should take. Yunbi has announced they will stop all trading permanently on September 20th due to recent Chinese government enforcement of regulations. It’s unclear at this time if Yunbi will remain open for withdrawals beyond this date. To be safe, we recommend moving any Siacoin stored on Yunbi off of the exchange as soon as possible. Cryptopia is de-listing Siacoin on September 24th due to “ongoing transaction issues”. Cryptopia has not reached out to Sia for help with this unspecified issue. We suspect it is something quite manageable, as other exchanges are processing Siacoin transactions without issue. Follow their guidance to “please close all open orders and withdraw your coins before 24/09/2017”. We take your security and that of your tokens very seriously, and you should too. Take the time and do the research to ensure that your tokens — of any kind — are as safe as they can be. Good practice dictates that you do not use exchanges as a long term storage solution. I’ll update this space as new info becomes available. Reach out anytime with questions. As most of you know, we sent out a quick reminder of the upcoming Sia hardfork on Saturday. We put together this blog post to clear up any confusion and answer some frequently asked questions. If you have any further questions, let us know on Discord. The hardfork is expected to take place on December 6. Why does Sia require a hardfork? Sia, like many other tokens, uses a PoW (Proof-of-Work) algorithm to secure the network and to prevent double spending. PoW requires a DAA (Difficulty Adjustment Algorithm) to adjust the mining difficulty on a regular basis to ensure that blocks are mined every 10 minutes on average. This is especially important for Sia since file contracts use the blockheight as a measure of time. While Sia’s DAA has done a good job so far, it’s not without its flaws. Currently this is not a problem, but it might become a threat to the network’s security once ASICs are released, causing an enormous spike in hashrate. For that reason, we introduced a new DAA in Sia v1.3.0 which is triggered at block 135,000. The new DAA adjusts the difficulty every block and will be able to keep the network stable during sudden spikes in hashrate. Were there any other changes? e.g. block reward or number of Siacoins/Siafunds? No, only the DAA was upgraded. We didn’t change any other consensus rules, move tokens, change the amount of tokens, change the inflation rate of the tokens or create or redistribute Siafunds. This means absolutely nothing changed except for the DAA. Will there be a new token? Do my coins double like in the Bitcoin or Ethereum hardforks? No, there won’t be a new token. 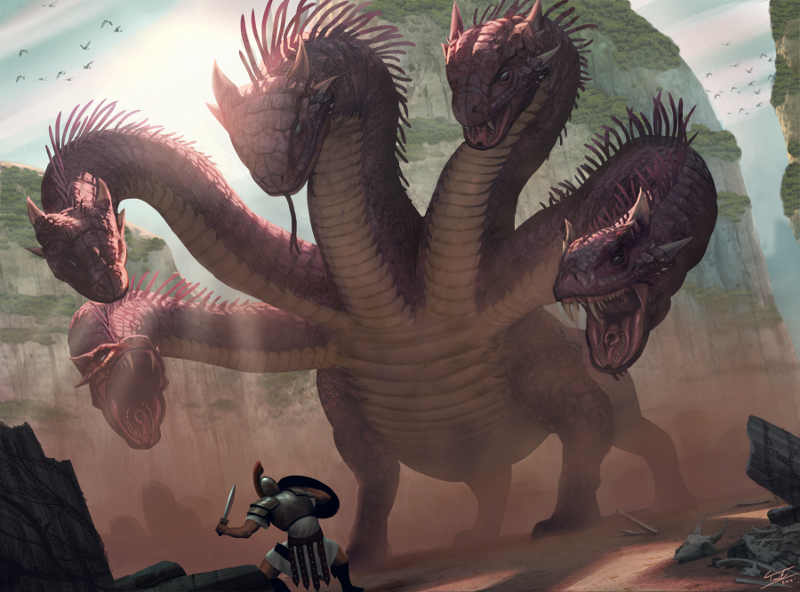 Chain splits only take place during contentious hardforks. This hardfork is not contentious in nature. When does the hardfork trigger? The hardfork triggers at block 135,000 which is estimated to be mined on Wednesday the 6th of December. What does that mean for existing Siacoin holders? What do I need to do? If you are holding the coins in the Sia-UI wallet, we recommend updating to the latest version before the hardfork. If you have all your coins in a paper wallet or on exchanges, you don’t need to do anything. How do I update Sia-UI? Just download the latest version from our website and follow the guide on our wiki. What happens if I can’t update in time? Don’t worry. Just update Sia to the latest version. Will my coins cease to exist? Will I lose coins? No, update your wallet and you will still have all your coins on the new chain. Does the new DAA increase difficulty? Not right away. The difficulty will stay the same for now. It will only increase if the network hashrate increases. Is GPU mining still possible? Yes, GPU mining is still possible, but will probably not be profitable anymore once ASICs start mining. What a year it’s been! Back in April, we started the tradition of updates every four months — the Sia Triannual Updates. You can read the first and second updates on our blog. This third update will be a little different. Rather than focusing only on the last four months, we’ll cover the entire year! For those of you who’ve recently joined the community, Sia is a decentralized cloud storage project that aims to be the storage layer of the internet. On Sia, files are split up into tiny encrypted pieces and distributed across a worldwide network of hosts. Anyone can rent storage space, anyone can sell their unused space, anyone can mine Siacoin. We believe that giant centralized data centers, like those run by Amazon, are inefficient, unnecessary trusted third parties. We aim to replace all of them with Sia. We recently released the much anticipated Sia v1.3.1 update, which brought significant improvements to the renting experience. The dev team overhauled much of the upload code, created a new on-disk format for file contracts, designed and implemented a new write-ahead log (WAL), and more. We recently released the much anticipated Sia v1.3.1 update, which brought significant improvements to the renting experience. This means that uploading files to the Sia network is a much more pleasant experience. I was able to successfully back up my entire home folder using the Duplicati integration. Duplicati compressed 18.51 GB of data (about 26,000 files) into 10.86 GB (about 20 zip folders) and uploaded everything to Sia in less than three hours on a residential connection. Besides our Core team contributions, almost 20 community members contributed to the v1.3.1 release. This is really important and exciting. As an open source project, Sia depends on an engaged community of contributors. And as we build Sia into a true storage platform, we will look to our contributors to build innovative applications on top of Sia. For more v1.3.1 details, including a full list of contributors, you can read the release notes here. And if you want to download it and give it a spin, head to https://sia.tech/apps! In other dev news, we want to give a big thank you to user tbenz9 for cleaning up the Github issue tracker, creating a new template for submitting issues, and sending out weekly dev updates. The community is now more informed and engaged than ever on Sia’s development. Since January, we have had 3 major releases — v1.1.0, v1.2.0, and v1.3.0. We are proud to be one of the projects in the crypto space that has a track record of delivering working software with regular updates, and very much look forward to introducing new features like file sharing in early 2018. In the beginning of the year, the Sia community consisted of about 5,000 total members across our different channels. Today, we have grown to over 110,000 community members across Twitter, Reddit, Facebook, and Discord! That’s a 2,100% increase in the size of our community. Today, we have grown to over 110,000 community members across Twitter, Reddit, Facebook, and Discord! But it’s not just about size — it’s about quality. We believe the Sia community is one of the most knowledgeable, engaged communities in the crypto space. Rather than focusing solely on trading and coin prices, our community discusses the technology and the roadmap. They give us feedback. They keep us accountable. Steve Funk joined us as Community Manager a few months ago. He manages our team of awesome moderators, makes sure everything is running smoothly across our different channels, answers incoming support emails, and sends out monthly community updates. Steve has now come onboard full time as Head of Support! In addition to continuing his existing work, he will turn a new focus toward education and support. Steve will be launching SiaTV in early 2018, our official YouTube presence. And he will be working to improve our knowledge base, guides, and tutorials. Sia’s parent company is called Nebulous, Inc. Nebulous employees the Sia Core team, and is the company that has raised venture capital money for Sia’s development. 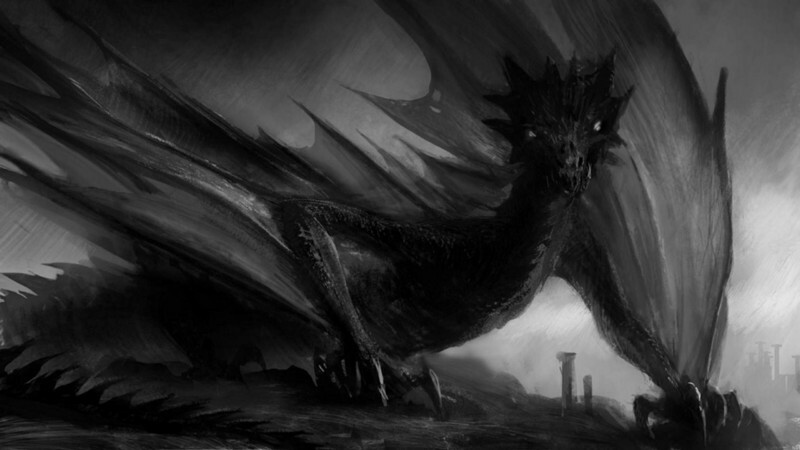 Nebulous also owns Obelisk, Inc., the subsidiary developing Obelisk mining hardware. Until now, Nebulous has been headquartered inside the Raptor Group offices at 280 Congress St. in downtown Boston. Raptor is one of our venture capital investors. Since it isn’t our own office, we do most of our work out of a house (similar to the Silicon Valley TV show). We are very excited to announce that the Nebulous team will be moving into our own office in downtown Boston, on Batterymarch Street. 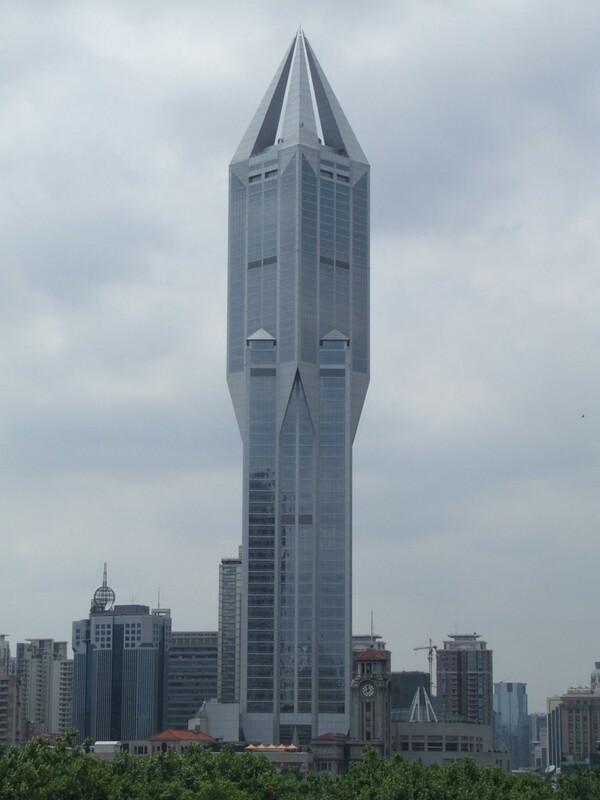 Both the Sia Core team and the Obelisk team will be based out of our new office. Once we move in, we’ll post some photos and start to host local meet-ups. Siacoin has majorly increased since January, from a market cap of about $5 million to a high of over $3 billion today! We are thrilled that Siacoin has entered the billion-dollar market cap club, and look forward to seeing even more growth in 2018. Siacoin has majorly increased since January, from a market cap of about $5 million to a high of over $3 billion today! We strongly believe that Siacoin belongs among the top ten cryptocurrencies. By continuing to release quality software and grow the network, we are confident that we will get there. In January, Sia had about 75 hosts offering less than 500 TB of storage space, and a total contract size of 35 terabytes. Today we have almost 1000 hosts offering over 3.3 petabytes of space, with a total contract size of 400 terabytes! 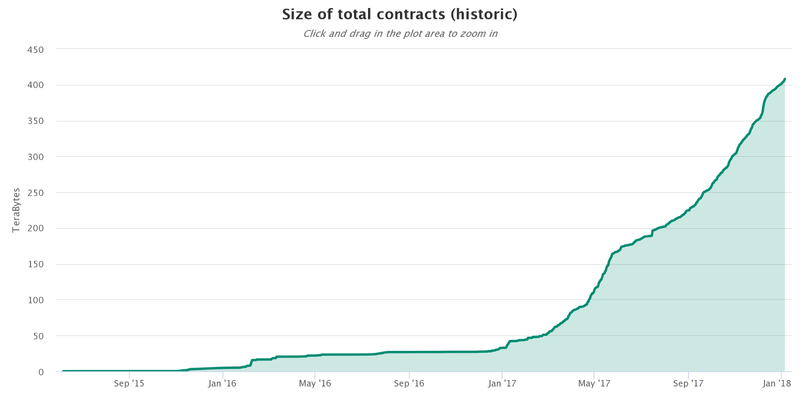 That’s an 1,200% increase in number of hosts and a 1,000% increase in paid file contracts being created on the network. That’s an 1,100% increase in number of hosts and a 1,000% increase in paid file contracts being created on the network. We recently passed a 3% utilization rate on the Sia network — meaning that about 112 terabytes of the 3.3 petabytes available is currently in use, storing real files. As we continue to improve the Sia software, we expect utilization to continue to increase. When we introduce file sharing in 2018, we expect the stats to skyrocket. This year we’ve seen a large influx of Sia core contributors, as well as projects being built on top of Sia. Luxor: a company that builds Sia-centric apps and services. They’ve already rebuilt our Explorer and launched mining pools for Sia and Decred, and they will be working on Sia-UI and other apps in 2018. Minebox: a company that is building a Sia-connected network attached storage (NAS) device. They were recently acquired by ClearCenter. PixelDrain: a file sharing website powered by Sia. Obelisk: our subsidiary, building ASIC mining hardware for Siacoin and Decred. SiaBerry: an OS for using Sia on Raspberry Pi. SiaDrive: software that allows you to mount Sia as a drive on your desktop (to enable drag-and-drop similar to Dropbox). SiaHub and SiaStats: network stats, charts, and metrics. 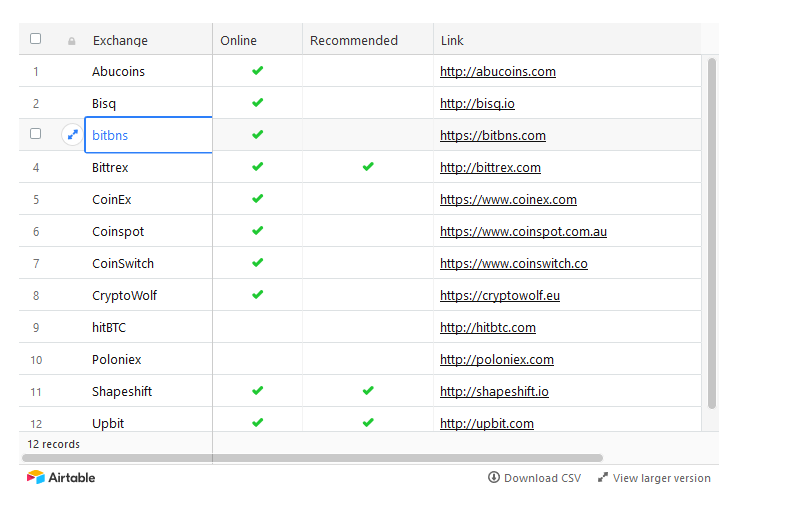 All these projects are listed on the downloads page on the Sia website. Obelisk is a subsidiary of Nebulous (Sia’s parent company) that is developing ASIC mining hardware for Siacoin and Decred. As a reminder, ASIC mining will make the Sia and Decred networks more secure. Check out the blog post here that details the importance of ASICs. The Obelisk batch 1 presale successfully closed in late November with 3598 SC1 units sold (for Siacoin mining) and 2963 DCR1 units sold (for Decred mining). We opened Obelisk batch 2 last week and have already sold over 1000 units. Batch 2 is open until January 31. We’ve also taken steps to build out an Obelisk dedicated team, and will continue to do so throughout 2018. You can view the team info on the Obelisk website. The first miners will ship by June 30, 2018. This will be an exciting year for Obelisk! 2018 is going to bring some big developments. File sharing and other software improvements. In 2018 we will finally release file sharing between Sia users. This will introduce a new use-case for Sia, while also increasing network utilization and network effects. View the full roadmap here. Enterprise partnerships. Our goal for Sia is to serve as the storage layer of the internet. We want companies like Dropbox and Netflix to use Sia to store and distribute their content. Once file sharing is introduced, we will be ready to approach companies for pilots and partnerships. By the end of 2018, expect to see several meaningful partnerships with enterprises who are storing data on Sia. 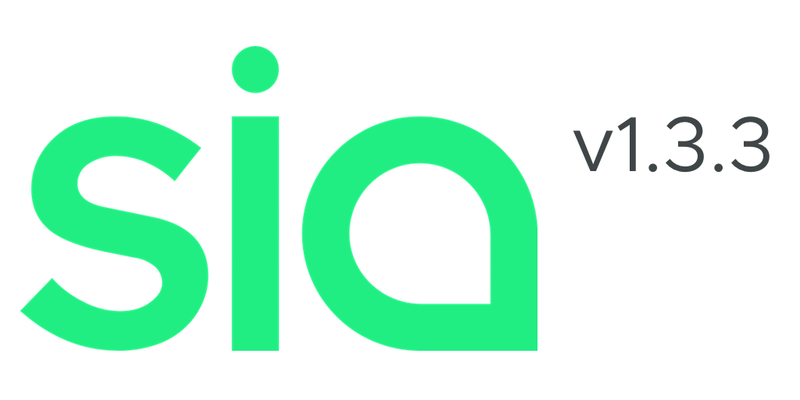 Updated Sia brand. The Sia software is clean and pure, and we will be updating the Sia branding to reflect those qualities and better appeal toward companies. Expect to see an updated logo, color scheme, and website, all of which will make Sia feel more modern and clean. Overhauled Sia-UI. In addition to updating the brand, we have tasked Luxor with developing an overhauled Sia-UI. This will make Sia far easier to set up and use on a regular basis. They will start this work in Q1 of 2018. Community and support. Steve Funk joined us full time as Head of Support, and he will be working to put together updated guides and documentation for using Sia. He’ll also be launching SiaTV, which will include video walkthroughs, tutorials, interviews, and more! Marketing and public relations. We intentionally keep a low profile. In 2018, that will change. With Sia almost ready for early enterprise adoption, we have hired a public relations firm to increase awareness of Sia and decentralized cloud storage. We will also be increasing our inbound marketing efforts, improving the blog and putting out more high-quality content. Fundraising and team growth. We will be raising money to grow the team and increase our pace of software development. That’s it for this Triannual Update! We’ll be publishing the next one in April. Stay tuned. I've been seeing a lot of misinformation and confusion surrounding the upcoming Sia hardfork, so I'm collecting the details in a single thread. When will the hardfork occur? The hardfork will occur at block 139,000. You can check the current Sia block height at the official block explorer. There is not an exact calendar time associated with the fork, but we can estimate based on average block time. 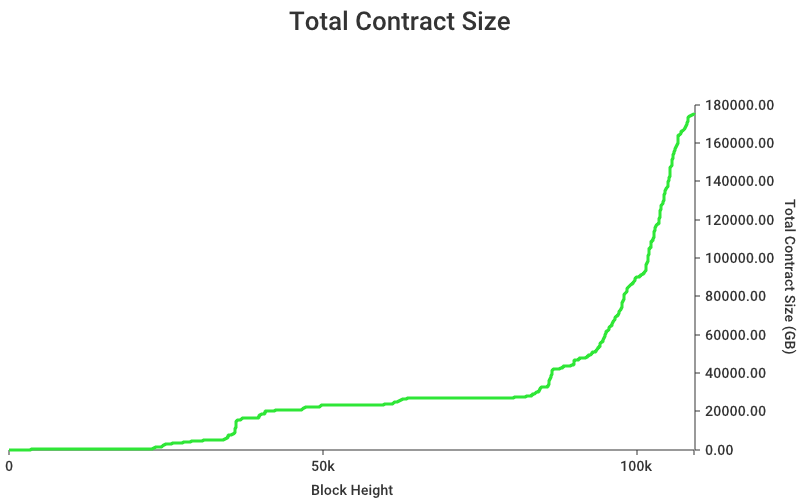 At the time of this writing, there are 139,000 - 138,426 = 574 blocks until the hardfork. At ~30 minutes per block, the hardfork is on track to occur in ~12 days, on 2018-01-21. SiaStats shows a countdown with the most up to date estimate of when the hardfork will occur. Why do some sources say the hardfork will occur on Jan. 31st, 2018? The original estimate was "around the end of January" so someone put it in a crypto event calendar as Jan. 31st and everyone thought that was the exact date. Will the hardfork result in new coins? Hardforks only result in new coins when the fork is contentious (i.e. a separate group is supporting the old fork). This is an uncontroversial hardfork and no development team has expressed interest in supporting the old fork. Will the hardfork break any ASICs? No, this hardfork was announced in December 2017 and is unrelated to any discussion of a softfork to protect the network from misbehaving ASICs. Didn't the hardfork occur already at block 135,000? There are two separate hardforks. The first one did occur already at block 135,000, on 2017-12-06. But that hardfork contained an unforeseen bug, which required Sia to undergo a second hardfork, which will occur at block 139,000. Why are these hardforks occurring? The Sia difficult adjustment algorithm needed a change to ensure that when ASICs begin mining Siacoin in mid-2018, the massive change in hashrate will not break Sia's consensus functionality. The first hardfork (at 135,000) was an attempt to make this change, but it included a bug, which necessitated a second hardfork (at 139,000). What do I need to do to prepare for the hardfork? If you run a Sia node (e.g. Sia-UI), upgrade to 1.3.1 or later. But don't worry, even if you don't do this, your coins are not at risk. You can always upgrade later and recover your coins from your wallet seed. Does it matter if my coins are in an exchange when the hardfork occurs? No. Regardless of whether your coins are in an exchange or your local wallet at the time of the hardfork, there will be no change to your coins before or after the fork. What will change after the hardfork occurs? Block times will reduce from ~30 minutes to ~10 minutes. It currently takes ~30 minutes for each transaction confirmation. After the hardfork, confirmations will occur roughly every 10 minutes (the same speed they were prior to the 135,000 hardfork). For Siacoin miners, this will bring mining yields back to roughly the same level they were before the first hardfork on 2017-12-06. Last week, Bitmain announced the Antminer A3, an ASIC miner for Siacoin. Though described as a “Blake2b” miner, the A3 was designed to mine only Siacoin. A3 miners are currently being delivered to customers across the world, and the Sia network just passed 1.4 PH/s in hashrate. Much has happened in the last 7 days, including an open letter from many long-term Sia community members advocating for a fork. Contributor Michael Lynch put together a helpful timeline of the week’s events. ASICs and increased hashrate are good for the Sia network. We previously wrote a blog post detailing the benefits of ASICs. In short, ASIC mining means that Sia is protected from 51% attacks — even if mining is relatively centralized among a small number of pools and manufacturers. When Bitmain announced Sia miners without warning, we were naturally concerned. Bitmain has a strong track record in Bitcoin of actively working to undermine core development, blocking important network upgrades (Segwit), backing contentious forks (Bitcoin Cash), building in backdoors (Antbleed), and much more. We consider Bitmain a bad actor in the cryptocurrency space. At the same time, we recognize that we have a conflict of interest. Our own Obelisk SC1 is now competing directly with Bitmain’s A3. Though we have the ability to release a version of Sia that invalidates the A3s via a soft-fork, we believe that doing so before Bitmain has attacked our network would be a centralized, monopolistic move, rather than a proactive, protective measure. Therefore, we will not be supporting a soft-fork at this time. Doing it right matters. We don’t cut corners. We are focused and realistic, thoughtful and deliberate. The decisions we make and the code we write are foundational — they must be solid because they must stand the test of time. Every choice is a choice we’ll live with for the long run. We’re building an empowered community. We believe in the power of many. We cannot do this alone. Success requires active participants who contribute and create value. We share a common set of beliefs — an ethos of fairness and decentralization. The internet is for everyone. The concentration of power among a few internet players isn’t good for the world. We’re returning sovereignty to individuals. Our distributed, decentralized storage is stronger, more secure, more efficient, and more equitable for all. The internet was not meant to be controlled by a few — it belongs to everyone. At this point in time, choosing to fork would mean compromising on our values as a company and a community, even though Bitmain poses a serious threat to the Sia network. So what can we do to make sure Bitmain behaves? First, forking is still an option if Bitmain openly attacks the Sia network, or actively resists important software updates. The community can still decide to invalidate all Bitmain hardware if we are attacked. If Bitmain takes any action to harm the Sia project, we will soft-fork to invalidate their hardware. Second, we will encourage A3 buyers to join friendly pools like Luxor and SiaMining. Third, we will encourage as many ASIC producers as possible — including Obelisk — to develop miners for Siacoin in order to foster a robust, competitive ecosystem with many options for customers. And fourth, we will lead an effort to build decentralized mining pools, and put resources into new research like microchains that treat mining as a hired service, rather than as a reward. We understand that this decision may disappoint those who signed the open letter, as well as many other community members. And it may also disappoint Obelisk buyers, who were hoping to have no competition from other ASIC hardware. But it’s important that we stay true to our values and build Sia into the world’s best decentralized storage network, with petabytes and then exabytes of stored data. We are trying to do more than build a company — we are trying to build a new internet protocol. We are trying to build a storage layer for the internet. And we therefore cannot afford to damage our reputation and split the community when we are this young. Throughout 2018, we will take key steps to bring Sia into the spotlight, including launching a new website, overhauling the brand, fundraising, and locking in enterprise partnerships. We hope that these actions will increase Siacoin’s value so that all miners, including Bitmain and Obelisk buyers, will receive highly profitable hardware. And we welcome all new Bitmain customers as Sia community members. I hope you all had a fantastic February. We’ve got a lot of news to recap, big and small. The team was busy getting our Siafund TSO site launched and working on 1.3.2. Zach has been supporting just about everything and everyone, and I’ve been working to get our support teams moved over to a new system, as well as a couple other things I think you’ll really enjoy. We’re taking all of this energy and momentum and moving forward as purposefully and methodically as we can. On with the show! Sia’s biggest news in a long time is up first. We are excited to announce that Nebulous is raising funds to sustain Sia development through the sale of Siafunds, in what we call a Tokenized Securities Offering. The Private Placement Memorandum defines all the terms of the sale and gives some great examples of how the actual process (which is more like an auction than a sale) will work. Our brand new Siafunds FAQ, accessible from the site, explains some of this in easier to read terms. We’ve got a new website to support this endeavor — Siafunds.tech, and an investor relations team that you can send an email to if you have any questions. Thanks to Luxor for building our TSO site! Next up is a site you’ve probably seen here before. SiaStats has received a makeover on the outside and under the hood! 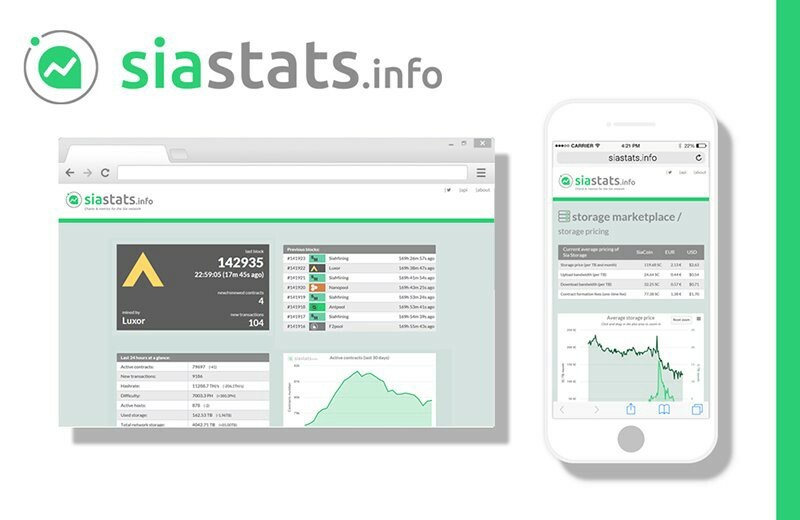 Already one of the best tools out there for monitoring Sia Storage Platform statistics, the site now looks better and loads faster than ever, and has a mobile-friendly design. Credit goes to the ever humble hakkane (on Discord) for building it, and m_rom and raffy_p for design input on the new look. We also have a brand new resource that has been very well received by the community. Discord user RBZL has created SiaSetup.info, an excellent site filled with guides on how to get set up with using the wallet, renting space, hosting data, and just about everything else. It’s a great tool for anyone, whether you’re brand new to Sia or just need a refresher. Go check it out now. If you have any suggestions for future community spotlights, send me a message. My contact info is at the bottom of this post. I take support very seriously. It is in my job title after all. Good service and support will make or break any interaction with a company, and we make our judgements regarding quality of service quicker than ever. So I guess I just help everyone individually, right? Not quite. Sia has a big community, and only one of me. Fortunately, I’m backed by two excellent support personnel on the Sia side, and Obelisk has two dedicated and fantastic folks as well. But since we have over 160,000 users across our social channels alone, and nearly 1,000,000 total wallet downloads, we outsource a bit of that support to the #help channel in Discord. This is essential, and my thanks goes out to everyone who lurks there waiting for a question they can answer. Our official support channels, which consist of the Sia Knowledge Base and email address, are designed to complement each other. Self-help has become mandatory for modern support systems, and this site will evolve to be a fully-featured center to get help with anything across the Sia ecosystem. This new site has already paid off — over the past week alone, just under 1,100 articles have been viewed, and we’ve avoided an estimated 480 emails. Our single most-viewed article? “Does Sia have an official wallet?” has pulled 180 views itself in the last week. That’s 180 instances of a user’s time saved, and 180 instances where that question didn’t wind up coming to our email or being asked in Discord. Or worse yet, going unanswered. I promised an article about my plans for my new position, and I’ll deliver on that — some things (everything) just got in the way. Stay tuned. To recap the month in Github: 47 issues we closed, 14 issues were created, and 47 news pieces of code were merged into the core codebase. The Download Overhaul has been completed and merged. This overhaul improves memory management, introduces a new feature called “Overdrive” for faster downloads (at a higher price), and sets the framework for features such as partial downloads and better latency for small files. Initial reports indicate that Sia can now get a sustained download speed of over 500Mb/s when conditions are right. 1.3.2 is currently in release candidate (RC) and is being tested by the core team and those in the #contributors channel of Discord. Keep in mind, any RC version of Sia-UI may be unstable. As always, you can follow the weekly dev updates in the #announcements channel on our Discord server, courtesy of the wonderful tbenz9. And speaking of, tbenz recently helped the core team revise the roadmap into the Sia Feature Roadmap. It will be updated as part of the weekly development update, and a Sia core developer will review the roadmap after every Sia release. If you’re interested in contributing to the Sia codebase, there are a number of issues waiting for community development. Please read the Guide to Contributing To Sia and comment on any issues you plan to work on. Movement on all of our social platforms was strong, but this always represents a double-edged sword. With increased popularity means increased attention from scammers. This section will contain a few tips to help you stay fraud-free in your times on Sia’s social media. Here we have a scam Twitter account, dressed up just like our official account and responding to one of our tweets. Many of you would look at this and quickly realize we’re not giving away over $400,000, but this stuff keeps getting posted because eventually it works. Seriously, this stuff works. And people from all backgrounds and technical experience fall for it. There’s other signals here, even for those less familiar with Sia. Our official Twitter account is SiaTechHQ, without the underscore. Clicking through to view the scammer’s profile would have shown that they had 2 followers as opposed to our nearly 100,000. Now this particular Twitter account has since been suspended, so we can’t see the responses to this tweet. They were all from fellow scam accounts, claiming “how great the process to get free ETH!” was. Turning our attention to Discord, please be cautious of any user offering to escrow transactions. If you pursue this, verify that the account of the person you are speaking with is the account of a trusted user in this regard. Your best defense in a world with endless scams is to assume that everything is a scam until you prove otherwise. Thanks for reading! March should see the launch of the auction for the Siafunds TSO, the release of 1.3.2, and continued improvement for our support options. Our community is growing and contributing in new and fantastic ways, and so will our company. As always, reach out with any questions or concerns. March was a good month for us. We made progress across the board, launching new software and new ways to learn about our platform. Read on for a recap of an exciting 31 days! We announced last month that we would be funding future development of the Sia Storage Platform via a sale of Siafunds, the revenue generating token on the Sia Storage Platform. The response so far has been very exciting, and backend work on our Tokenized Securities Offering has been progressing well. We expect to be able to open up for deposits very soon. 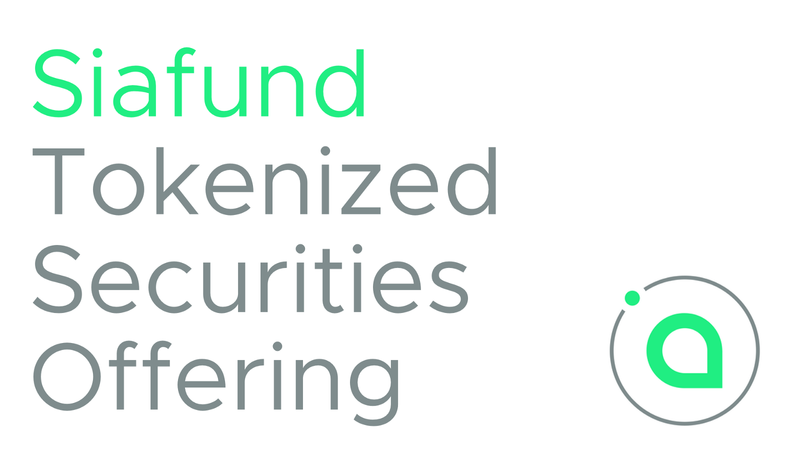 If you’re a qualified investor in the US, UK, Canada, Australia, Germany, or Russia and are interested in participating in the Siafunds TSO, head over to siafunds.tech to learn more! We have lots of good ways to get information about the Sia Storage Platform right now, and we’ve just added a very important one. SiaTV, our official YouTube channel, has launched. Check out our first video, the Sia Update, below. Being able to communicate what we’re working on is incredibly important. We need to be able to relay information to a wide array of people. Whether you want to use our software, trade our tokens, invest in our company, or learn about us from a distance, you need information. 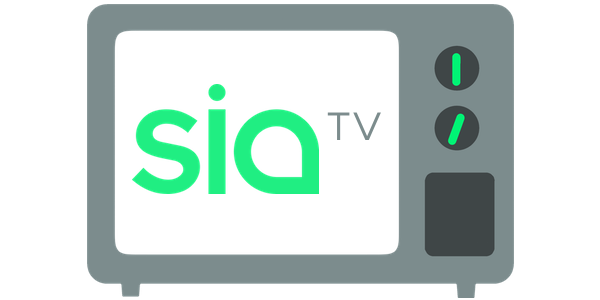 We think this will be an invaluable asset moving forward as SiaTV becomes a source of news, announcements, tutorials, and more. Stay tuned! Over the past month, 4 Nebulous repos were updated. 52 issues were closed, 18 were created, and 49 pieces of code were added to the core codebase. Sia version 1.3.2 has been released. With faster, more reliable downloads and updates to the file repair and maintenance code, v1.3.2 now leads the charge as total downloads of the Sia Storage Platform software surpass 950,000. Join us as we approach 1 million total downloads and beyond. We’ll have a new section in the Community Update moving forward focusing on exchanges. We want to give some insight into what we work on and deal with behind the scenes, and more importantly provide an updated list of where to get Siacoin. Keep in mind that we haven’t vetted every single one of these options. It’s not a development team’s job to ensure that the exchanges their token is on are safe or usable, because any exchange can add Siacoin whenever they want. We expect that they are usable and will work properly, but the number of exchanges out there is huge and continues to grow, which is why Bittrex and Shapeshift remain our only recommended options for now. Poloniex (recently acquired by Circle) has been wonderful and we think we’re on track to have their issues resolved soon. HitBTC has also been in contact with us, and we hope to have some progress there as well. One of the things that makes Sia great is also the thing that sometimes makes it more difficult for exchanges to implement our token — our dedicated blockchain. We aren’t ERC-20, and we’re not a fork for Bitcoin. This leads to a powerful platform, but also some extra work from an exchange’s perspective to get us up and running. We’re excited to announce the official Sia Merch Store is now open! We’ve worked with Design By Hümans to create a quality storefront for purchasing Sia branded apparel and accessories. We’ve got three things to wear, and one thing to stick. The men’s and women’s t-shirt, and unisex zip-up and pullover hoodies feature the rebranded Sia logo prominently on the front of a premium, high quality garment. Click the i next to any style in the store to learn more. We also have a Sia logo sticker available, for all of your computer/window/mirror needs. I was really happy to finally get that YouTube graphic in there. In addition to over 2,000 views on our first video already, subs to the channel have been steadily increasing since launch. I’m truly excited to see where we are next month, and next year. Twitter is about to hit 100k, which is really exciting as well. As always, be vigilant over there. Scammers seem to have really taken focus on our account, and every time we tweet you can expect to see a handful of nonsense regarding free Ethereum or other tokens from accounts that look just like ours. April will see the execution of the Siafunds TSO, so next month we should have much more to talk about. Twitter will hit 100k, YouTube will continue to churn, and there will be further development on the Sia Storage Platform. Some of you will get to enjoy Spring. Some of you will plunge deeper into the seemingly endless winter that is absorbing parts of the United States. No matter your situation, I hope the next few weeks treat you well! April was a whirlwind, and we turned an important page in our story by successfully executing our token sale. We brought on new hires — talented individuals who have already made an impact. Our exchange listings expanded, we previewed exciting new Sia features, and just had an overall fantastic month. First up this month are the results of our Tokenized Securities Offering! Sia has long been one of the leanest projects around. We’ve run on a tight budget for a long time, and have one of the most advanced projects in the blockchain space to show for it. The Sia Storage Platform is also one of the most actively developed projects — and that’s been with only three developers and the contributions of our amazing community. With this capital we’ll immediately expand the dev team. In fact, we’ve already hired our fourth developer Matt and brought on Jacob to assist with Nebulous operations (more on them soon). We learned a ton during this process. And now we’ve got a working platform for fully regulated securities offerings in our pocket that we can use again in the future, or sell to others looking to do things the right way. We plan to make two additional developer hires in the coming weeks. This means that, with the addition of Matt, our development team will soon be double what it was as recently as March. We’re confident that the pace of development will significantly increase, and we couldn’t be more excited about what the future will bring. Jacob comes to us with experience in operations and hardware design. Formerly of Formlabs, creator of 3D printers, he’s already made an impact on the team in his short time here. Jacob has been assisting with both Sia and Obelisk operations, but his hardware experience has proven especially valuable in the run up to the launch of the SC1 and DCR1 ASICs. Matt also joins the team as our newest developer! He’s a skilled developer who is incredibly excited about the blockchain space. He is looking forward to bringing his project management and team leadership experience from his previous jobs to the Sia team. Matt’s already made his first code contribution to the Guide to Contributing to Sia, and you can see the details here. You can find them both under the Sia Core Team group in Discord as Jacob and Sevey, respectively. Over the past month, 4 Nebulous repos were updated. 35 issues were closed, 6 were created, and 29 pieces of code were added to the core codebase. We have a snapshot of updates here, but tbenz’ official updates can be found weekly in the #announcements channel in Discord. Nebulous cofounder and Sia core developer David Vorick recently released a roadmap for Sia development that takes us through 2018 and most of the foreseeable future. I encourage you to read the whole post, but I think some standout topics are the official API support for video streaming in v1.3.3, file backups as the goal for 1.3.4, and David’s microchain on-chain scalability solution. In the event of an internal error in the wallet it will roll back to its previous state. This is not user accessible but should provide a more robust Sia wallet. Added to a few of the Sia packages to help track down bugs and offer greater visibility to the users. Chris merged in his io.ReadSeeker interface which enables video streaming with long load times. GitHub user nielscastien spent a lot of time adding a new API endpoint to view host contract information. They also added new functionality into the siac command to view details about host contracts. This is a significant feature that many hosts have been asking for and will be official released in Sia v1.3.3. Our exchange options have never looked better. Over the past couple of weeks Bittrex has added a new trading pair, Siacoin to USDT. Upbit has activated the Siacoin to KRW (Korean Won) pair as well as enabled their SC wallet for deposits and withdrawals! Poloniex’s wallet is down as of this writing (edit: it’s back up), and we’re working to get more info from them on the status there. HitBTC is waiting on a specific PR regarding offline transaction signing to get merged and released before they’re willing to bring their Siacoin wallet online. No other exchange has asked for that, but that’s what they want. Expect additional delays there. Two big milestones for our numberphiles out there! Our Twitter account is comfortably over 100,000 followers, and YouTube reached its first 1,000 subscribers. Our community growth has slowed in a number of areas, particularly Reddit, Discord, and Facebook, which is a reflection of the overall industry. In the run up to the end of the year and as Bitcoin neared $20,000, we saw a 40–60% month over month growth in some of these channels. The growth of our community has largely mirrored the growth of the industry as a whole, but as we continue to make bold moves and develop our platform I think we’ll see less coupling from industry standards in this regard. The reception to our YouTube channel has been wonderful! Thanks to everyone has taken some time to check those videos out. With the token sale behind us and a development roadmap ahead of us, we’re well prepared to launch into the middle months of 2018. Our company and project will continuously evolve, but the constant for us is you. Our community remains a pillar of Sia. We’ll continue to work on stuff. We’ll break things, fix them, make more mistakes, and release awesome new features. Sia continues to be the only fully decentralized storage platform in the business, and that is both an honor and priviledge that we take very seriously. For those new to the blog, I am the lead developer of Sia, a blockchain based cloud storage platform. About a year ago, myself and some members of the Sia team started Obelisk, a cryptocurrency ASIC manufacturing company. Our first ASICs are going to ship in about 8 weeks, and our journey with Obelisk has given us a lot of insight into the world of cryptocurrency mining. One of the reasons we started Obelisk was because we felt that coin devs in general had a very poor view into the mining world, and that the best way to understand it would be to get our hands dirty and bring a miner to market. Since starting Obelisk, we’ve learned a lot about the mining space, as relevant to GPUs, to ASICs, to FPGAs, to ASIC resistance, mining farms, electricity, and to a whole host of other subjects that coin developers should be more aware of. We aren’t able to share everything that we know, but we’ve pulled together information on a set of key topics that I think will be helpful to cryptocurrency designers and other members of the cryptocurrency community. We’ve been pessimistic on ASIC resistance for a long time, and our journey into the hardware world solidly confirmed our position. Hardware is extremely flexible. General purpose computational devices like CPUs, GPUs, and even DRAM all make substantial compromises to their true potential in order to be useful for general computation. For basic hardware development, most algorithms can see substantial optimization just by taking away all of that generality and focusing on one specific thing. The vast majority of ASIC-resistant algorithms were designed by software engineers making assumptions about the limitations of custom hardware. These assumptions tend to be incorrect. Equihash is perhaps the easiest target, as a lot of people were quite confident in the equihash algorithm, and we’ve been saying for close to a year that we know how to make very effective equihash ASICs. The key is to make sorting memory. A lot of algorithm designers don’t seem to realize that in an ASIC, you can merge the computational and storage pieces of a chip. When a GPU does equihash computations, it has to go all the way out to off-chip memory, bring data to the computational cores, manipulate the data, and then send the altered data all the way back out to the off-chip memory. For equihash, the manipulations that you need to make to the data are simple enough that you can just merge the memory and computation together, meaning that you can do most of your manipulating in-place, substantially reducing the amount of energy used to move data back and forth, and also substantially decreasing the amount of time between adjustments to the data. This greatly increases efficiency and speed. Needless to say, we weren’t the least bit surprised when Bitmain released powerful ASICs for equihash. The Bitmain ASICs are actually substantially less performant (5x to 10x) than our own internal study suggested they would be. There could be many reasons for this, but overall we think that it’s pretty reasonable to assume that more powerful equihash ASICs will be released in the coming months. We also had loose designs for ethash (Ethereum’s algorithm). Admittedly, ethash was not as easily amenable to ASICs as equihash, but as we’ve seen from products on the market today, you can still do well enough to obsolete GPUs. Ethash is by far the most ASIC resistant algorithm we’ve looked at, most of the others have shortcuts that are even more significant than the shortcuts you can take with equihash. 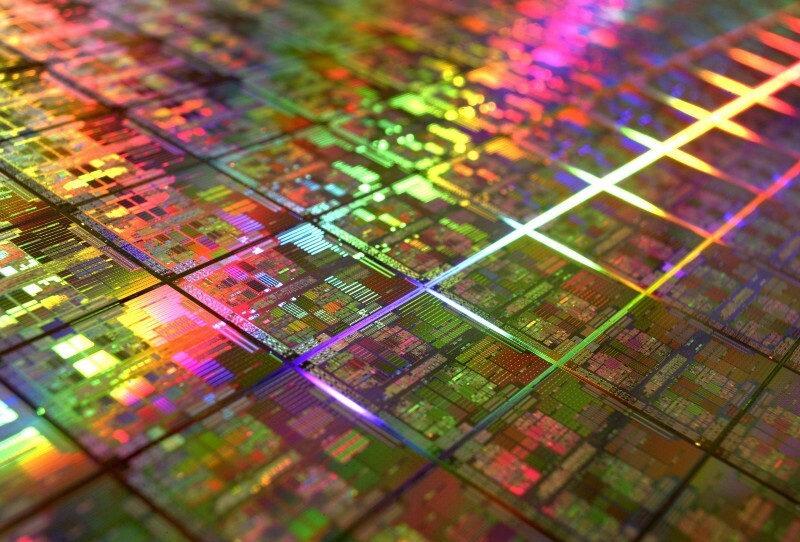 A lot of people believe that computing is broken up into 3 categories: CPU, GPU, and ASIC. While those are the categories that are generally visible to the public, in the chip world there’s really only one type of chip: an ASIC. Internally, Nvidia, Intel, and other companies refer to their products as ASICs. The categories as known to the public are really a statement about how flexible the ASIC is. I would like to use a 1 to 10 scale to measure flexibility. At one side, a ‘1’, we’ll put an Intel CPU. And at the other side, a ‘10’, we’ll put a bitcoin ASIC. Designers have the ability to create chips that fall anywhere on this scale. As you move from a ‘1’ to a ‘10’, you lose substantial flexibility, but gain substantial performance. You also decrease the amount of design and development effort required as you sacrifice flexibility. On this scale, a GPU is a ‘2’. Generally speaking, we don’t see products developed that fall anywhere between a GPU and a fully inflexibile ASIC because typically by the time you’ve given up enough flexibility to move away from a GPU, you’ve only got a very specific application in mind and you are willing to sacrifice every last bit of flexibility to maximize performance. It’s also a lot less costly to design fully inflexible ASICs, which is another reason you don’t see too many things in the middle. Two examples of products between a GPU and an ASIC would be the Baikal miners and the Google TPU. These are chips which can cover a flexible range of applications at performances which are substantially better than a GPU. The Baikal case specifically is interesting, because it’s good enough to obsolete GPUs for a large number of coins, all using the same basic chip. These chips appear to be flexible enough to follow hardforks as well. The strategy of hardforking ASICs off of a network is going to lose potency the more it happens, because chip designers do have the ability to make chips that are flexible, anywhere from slightly flexible to highly flexible, with each piece of flexibility costing only a bit of performance. The Monero devs have committed to keeping the same general structure for the PoW algorithm, and because of that commitment we believe that you could make a Monero miner capable of surviving hard forks with less than a 5x hit to performance. Equihash is an algorithm that has three parameters. Zcash mining happens with one particular choice for these parameters, and any naive hardfork from Zcash to drop ASICs would likely involve changing one or more of these parameters. We were able to come up with a basic architecture for equiahsh ASICs that would be able to successfully follow a hardfork that chose any set of parameters. Meaning, a basic hardfork tweaking the algorithm parameters would not be enough to disrupt our chip, a more fundamental change would be needed. Despite this flexibility, we believe our ASIC would be able to see massive speedups and efficiency gains over GPUs. We never found funding for the equihash ASICs, and as a result our designs ended up on the shelf. The ultimate conclusion here once again wraps back to the capabilities of ASICs. I think there are a lot of people out there who do not realize that flexible ASICs are possible, and expected that routinely doing small hardforks to disrupt any ASICs on the network would be sufficient. It may be sufficient sometimes, but just as algorithms can attempt to be ASIC resistant, ASICs can attempt to be hardfork resistant, especially when the changes are more minor. A few months ago, it was publicly exposed that ASICs had been developed in secret to mine Monero. My sources say that they had been mining on these secret ASICs since early 2017, and got almost a full year of secret mining in before discovery. The ROI on those secret ASICs was massive, and gave the group more than enough money to try again with other ASIC resistant coins. It’s estimated that Monero’s secret ASICs made up more than 50% of the hashrate for almost a full year before discovery, and during that time, nobody noticed. During that time, a huge fraction of the Monero issuance was centralizing into the hands of a small group, and a 51% attack could have been executed at any time. Monero’s hardfork appears to have been successful in shaking the ASICs. I don’t believe that the ASIC designers attempted to build flexibility into their ASICs, but now that Monero has announced a twice-annual PoW change, we may see another round of secret ASICs with more flexibility. The block reward for Monero is high enough that even if you think you have only a 30% chance of your ASIC surviving the PoW hardfork, it’s more than worthwhile to pursue a hardfork resistant ASIC. My strong guess is that Monero is going to have another round of secret ASICs built, and that these ASICs will be more conservative and flexible, attempting to follow the hard forks that Monero puts out every 6 months. We’ve heard rumors of plenty of other secret ASICs. People who own secret ASICs tend not to talk about them very much, but as of March 2018, we had heard of secret ASIC rumors specifically for both Equihash and Ethash, and then for many other smaller coins that don’t have any ASICs on them yet. We believe a full 3 different groups were actively mining on Zcash with different ASICs prior to the Bitmain Z9 announcement. We know of mining farms that are willing to pay millions of dollars for exclusive access to designs for specific cryptocurrencies. Even low ranking cryptocurrencies have the potential to make millions in profits for someone with exclusive access to secret ASICs. As a result, an informal underground industry has been set up around secret mining. The heavy amount of secrecy involved means it’s disconnected and mostly operates off of rumor and previous relationships. But it’s nonetheless a very lucrative industry, and even when things happen like the Vertcoin hardfork, the setback to secret miners is dwarfed by the returns of the successes. At this point, I think it’s safe to assume that every Proof-of-Work coin with a block reward of more than $20 million in the past year has at least one group of secret ASICs currently mining on it, or will have secret ASICs mining on it within a few months. The easiest way to detect this is GPU returns, however as ASICs continue to infiltrate every coin on the market, that will cease to be a reliable metric as there will be no GPU-only coin to use as a baseline, at least not one that is large enough to sustain all of the massive GPU farms that are out there. 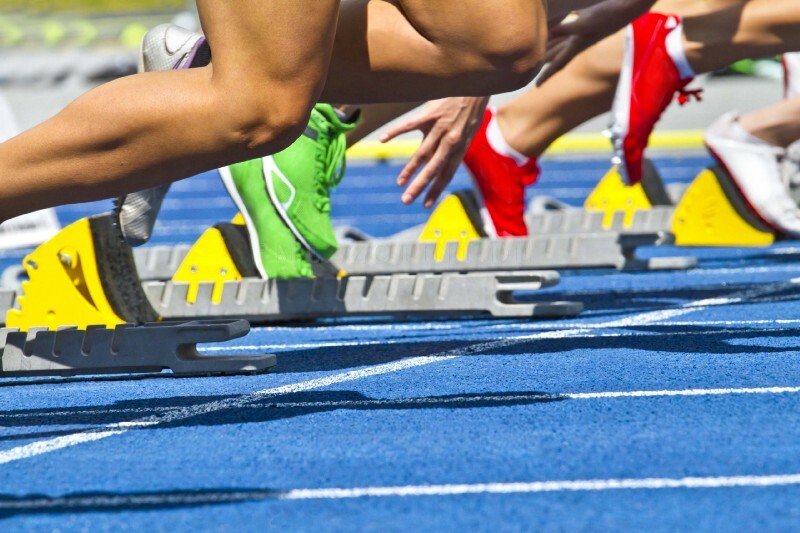 The ASIC game has become such an advanced game because there is so much money on the table. Even small coins can be worth tens of millions of dollars, which is more than enough to justify a high-risk production run. Manufacturers that sell ASICs to the public, like Bitmain, tend to be less exposed than consumers to things like ASIC hardforks. Using Sia as an example, we estimate it cost Bitmain less than $10 million to bring the A3 to market. Within 8 minutes of announcing the A3, Bitmain already had more than $20 million in sales for the hardware they spent $10 million designing and manufacturing. Before any of the miners had made any returns for customers, Bitmain had recovered their full initial investment and more. In this case, a hardfork doesn’t hurt Bitmain. Bitmain made a profit off of Sia, and there’s nothing the developers can do about that. And it seems that was the case for the Monero miners that Bitmain announced as well. Bitmain didn’t even get to announce the miners until after Monero announced their hardfork, and still it seems that they sold enough obsolete hardware to customers to make back their costs and turn a hearty profit. The mining game is weighted heavily in favor of the manufacturers. They get to control the hardware production, the supply, and they know more about the state of the industry than anyone else. The profitability of a miner largely depends on variables that the manufacturer controls without disclosure to anyone else. In the case of Halong’s Decred miner, we saw them “sell out” of an unknown batch size of $10,000 miners. After that, it was observed that more than 50% of the mining rewards were collecting into a single address that was known to be associated with Halong, meaning that they did keep the majority of the hashrate and profits to themselves. Our investigation into the mining equipment strongly suggests to us that the total manufacturing cost of the equipment is less than $1,000, meaning that anyone who paid $10,000 for it was paying a massive profit premium to the manufacturer, giving them the ability to make 9 more units for themselves. Beyond this, the buyer has no idea how many were sold nor where the difficulty would be when the units shipped. The manufacturer does know whether or not the buyer is going to be able to make a return, but the buyer does not. The buyer is trusting the manufacturer entirely. If a cryptocurrency like Sia has a monthly block reward of $10 million, and a batch of miners is expected to have a shelf life of $120 million, the most you would expect a company could make off of building miners is $120 million. But, manufacturers actually have a way to make substantially more than that. In the case of Bitmain’s A3, a small batch of miners were sold to the public with a very fast shipping time, less than 10 days. Shortly afterwards, YouTube videos started circulating of people who had bought the miners and were legitimately making $800 per day off of their miner. This created a lot of mania around the A3, setting Bitmain up for a very successful batch 2. While we don’t know exactly how many A3 units got sold, we suspect that the profit margins they made on their batch 2 sales are greater than the potential block reward from mining using the A3 units. That is to say, Bitmain sold over a hundred million dollars in mining rigs knowing that the block reward was not large enough for their customers to make back that money, even assuming free electricity. And this isn’t the first time, they pulled something similar with the Dash miners. We call it flooding, and it’s another example of the dangerous asymmetry that exists between manufacturers and customers. At the end of the day, cryptocurrency miner manufacturers are selling money printing machines. A well-funded profit maximizing entity is only going to sell a money printing machine for more money than they expect they could get it to print themselves. The buyer needs to understand why the manufacturer is selling the units instead of keeping them for themselves. There are a few reasons it would make sense for a manufacturer to sell a money printing machine rather than keep it. The first is capital — manufacturing is an expensive process with a lot of lead times. If the manufacturer doesn’t have enough money to build their own units, then it makes sense to sell the units instead, and use the money from sales for production. It boils down to the manufacturer selling future revenue to get revenue today, which is a very common transaction in the financial world. Another reason the manufacturer may sell money printing machines instead of running them is the electricity costs of running them. 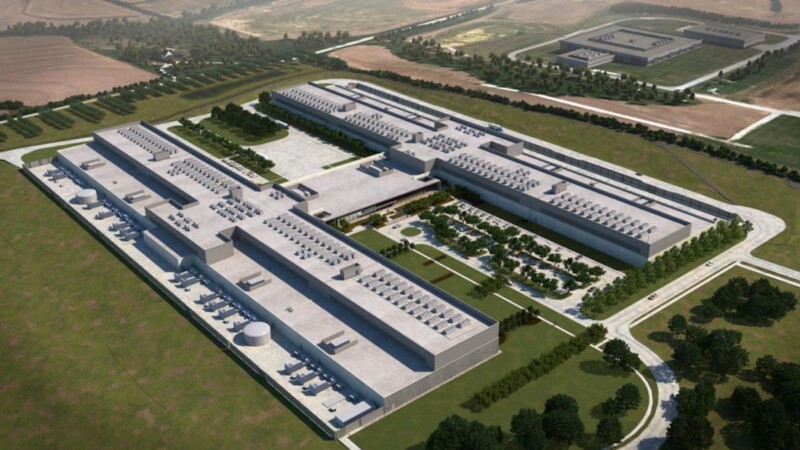 If the manufacturer can only get a certain deal on electricity, then there may be someone else with cheaper electricity or better datacenters who would be willing to buy the units at a price that’s higher than what the manufacturer values them at. Most manufacturers however have access to good electricity deals, and unless you have some deal with free electricity or are otherwise running a cutting edge professional operation, you are not likely to do better than the manufacturer. And finally, the manufacturer may have some other reason that they want money quickly instead of making a longer term investment into the hardware themselves. This is likely not the case in cryptocurrency mining though, because the shelf life of miners tends to be under two years, and to a business that’s not a long time at all to wait for healthy returns. In the traditional chip development world, it takes about 2 years to go from launching a development effort to getting a chip out out the door. In the case of the Sia and Decred miners we built, it looks like we’re going to be at about 13 months total from project launch to product delivery. If we had to do the same thing again, I think we could do it in about 9 months. A huge portion of the time spent is on full-custom routing for the chip. There’s a much faster development process called place-and-route which trims about 3 months off of the chip development time, but produces chips that are 2x-5x slower than what a full-custom team can produce. We think that if we used a place-and-route design methodology, we could get our product delivery timeline close to 6 months. We believe it took Bitmain about 5 months to create the A3 miner, and we believe it took Halong about 9 months to create the B52 miner. We suspect both of these were completed using place-and-route methodologies, especially given the relatively poor performance of each. Those are timelines for creating a chip from scratch. If the goal is to chase a hardfork, the timelines are a lot shorter. If you know in advance that you are going to need to redesign your chip, there are a lot of shortcuts you can take to reduce the overall time required to get to market. Changing a design to meet a tweak is going to take much less time than starting from scratch, a good team with a well-planned base architecture can probably complete designs in about 2 weeks. From there, with some help from a hot-lot, you can get a new set of chips in about 40 days. These then need to be packaged, which is going to take around a week, and then sent to the manufacturer for assembly. Finally, you have to get the units to a datacenter and start mining. If you had all the wafers, parts, and everything reserved ahead of time, we believe that you could upgrade a chip to adapt to a hardfork and have miners mining on the new hashing algorithm in about 70 days, at least in theory. In practice, Bitmain would probably require 3–4 months to adapt an existing chip to a hard fork, and if they hadn’t reserved wafers in advance they’d be looking at 4–5 months. Any company that is not Bitmain can probably add another 30–60 days to these numbers. Some people already understand the situation with economies of scale well. The more money you spend, the more effective each dollar is. This effect is maintained throughout every level of scale that I’ve been able to peer into, including scales where you are going from billions of dollars to tens of billions of dollars. The most simple way that this manifests is in volume orders. If you order one hundred thousand heatsinks, you can get one price. If you order one million heatsinks, you get a better price. As you continue to scale up, the price falls off. This effect is in place for almost all parts in the hardware industry, and it happens because manufacturers get to the point where they can buy and dedicate equipment to your order, and then keep that equipment at 100% efficiency. As you scale up, you gain greater customization and specialization in addition to cost savings, meaning your products become more effective as well as cheaper. At some point, it makes sense just to buy out all the capacity at the manufacturer. A huge component of manufacturing price is paying for equipment. Equipment that is idle 50% of the time is going to have 2x the effective per-part price than equipment that is in use 100% of the time. As you increase lead times and order volumes, you can start getting fully dedicated equipment running nonstop for you, which again pulls the price down substantially. In a similar sort of turn, someone has to manufacture that equipment. If you scale up to the point where you are continuously ordering specific equipment, the manufacturer can start to dedicate pipelines to you and keep their own equipment operating 100% of the time, and so the equipment you use for manufacturing is getting cheaper now on top of being in use all the time. And that’s just the beginning. At every step, each provider, manufacturer, etc. is going to be taking margins, typically somewhere around 30% depending on how commodity your orders are. If you have enough money, you can start to engage in vertical integration, cutting out the margins of your manufacturers by either buying them out or creating your own margin-free entity. Hardware goes through a lot of steps. There’s the acquisition of raw materials like iron and oil, the refinement of these materials, and then they get manufactured into base parts that can be sold for more general products. Those base parts often have lead times that are 6+ months, which means that suppliers typically keep a huge number of them in stock, so that they can provide customers with parts on faster timelines. Every step typically introduces both a middleman and inefficiency, especially because each step is targeted towards general use parts instead of a specific product. If you have a specific product that has enough volume / scale to justify dedicated supply chain elements, you will shave costs, you will shave lead times, you will improve product quality and performance, and you will get ahead of what anyone without that type of scale can achieve. To present a very rough number, it seems to me that every time you 10x the amount of money you are spending, you can save about 30% per part. That is to say, if you are spending $100 million on mining units, you might get units for $500 each. And if you are spending $1 billion on mining units, you can squeeze that price down to $350 per miner just by having more money to throw around. And then if you jump to $10 billion, your per-miner price might drop to $245. Your mining machines aren’t just getting cheaper though, they are also becoming more customized and higher performance. 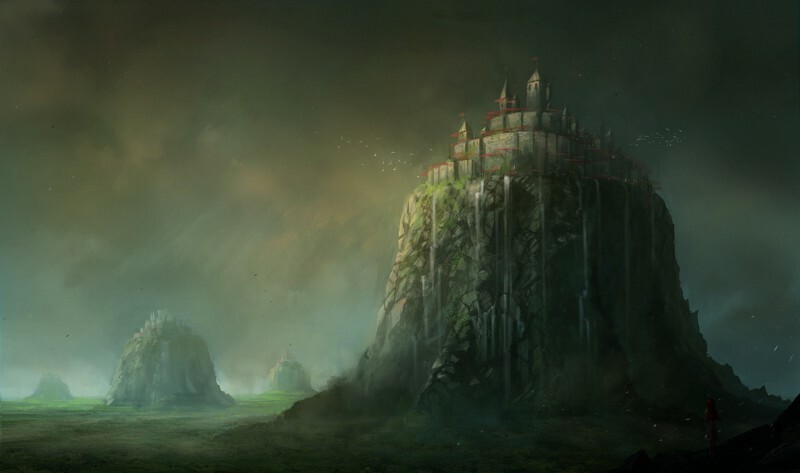 You don’t just build a dollar moat with scale, you also build a quality moat. When we started Obelisk, we had numerous separate sources reach out and warn us that Bitmain plays dirty, and that if we try to manufacture in China, we will be stopped. With that in mind, we brought up the issue to everyone we worked with, and proceeded cautiously with an American manufacturer that owned a facility in China. This was attractive because the prices were close to half of what we would have paid to manufacture in America, and manufacturing was going to be one of our largest expenses by far. 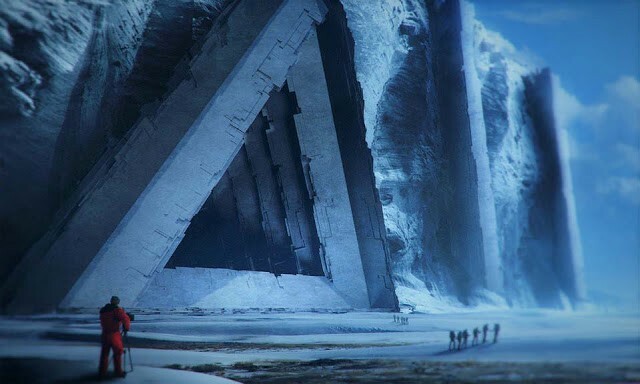 We did everything we could to keep the entity disconnected from Obelisk, and we hid the name of the manufacturer from our website or any public data, and we were very careful with who we gave the name of our manufacturer privately. We had a separate entity put in parts orders where we could. 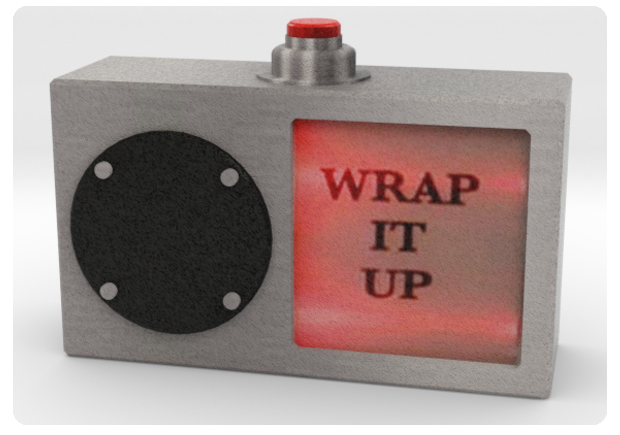 After any reasonable timeframe to reach out to another manufacturer, after-hours on a Friday night, our manufacturer reached out to us and said with little warning or reasonable explanation that they would be unable to manufacture for us. Just as we had been warned, our attempt to manufacture in China had fallen flat on its face. This setback is estimated to have cost us somewhere north of $2 million. We have absolutely no evidence that Bitmain was involved in any way. We’ve had other companies reach out to us and confirm that they’ve experienced similar things, but they too had no concrete evidence that Bitmain was involved in any way. I honestly was not sure whether to include this section in the blog post, because unlike most of the other things I’ve been saying, we really have nothing more than a bunch of warnings that ended up being correct to inform us. But it’s well established in the industry that Bitmain plays dirty, and it’s been suggested to us from all sides that they have been and will continue making moves within our supply chain to ensure we can’t succeed, and that they do the same with all of their competitors. Mining farms are perhaps the one area where manufacturers and economies of scale are not dominant. Good electricity deals tend to come in smaller packages, tend to be distributed around the world, and tend to be difficult to find and each involve unique circumstances. As such, it’s been difficult for larger companies to create a system for scooping up low cost electricity worldwide. Instead, the cheapest electricity and datacenters in the world tend to be held by smaller parties that don’t individually own all that much electricity or hashrate. From what I’ve been able to dig up, the average professional mining farm is paying somewhere between 4 and 6 cents for electricity, and then another 3 to 6 cents for management and maintenance. A total cost of $50 per kilowatt per month is probably somewhere close to the median for large scale mining farms. As techniques improve and the industry grows, we expect this number to fall closer to $35 per kilowatt per month (including maintenance, land, taxes, etc.) throughout 2019 and 2020. We don’t believe that anyone paying more than $80 per kilowatt per month will be able to remain competitive unless the price of cryptocurrency continues to rise rapidly over the next year. The top 20% of miners all seem to be below $35 per kilowatt per month already, from what we’ve been able to glean, and the top 5% seem to be below $20 per kilowatt per month. By my estimation, if the price of Bitcoin were to fall substantially, these mining operations would be able to stay in business and everyone paying $50 or more would be forced to shut down their facilities. It’s really hard to know where Bitmain is at, but based on everything we’ve been seeing we estimate that Bitmain is somewhere around the $30 per kilowatt per month mark. That is, they are doing better than the median mining operation, but by no means are they in the elite tier. Most mining startups seem incredibly focused around the chip itself. From what we’ve seen, the chip is really less than half the story. So, the chip is important (apologies for the title), but if all you’ve got is the best chip in the world, you aren’t going to be a competitive manufacturer. As a miner, the goal at the end of the day is to do as many hashes as possible for as little money as possible. A faster chip means that you need to spend less money on chips to get hashrate. And a more energy efficient chip means you need to spend less money on electricity to get hashrate. But you aren’t just spending money on chips and electricity. You spend money on PCB, on controllers, on ports like ethernet ports, on power supplies and power management, on fans, on enclosures, on shelves in your datacenter, etc. At the end of the day the chip is only a portion of the equation for mining successfully. If you aren’t thinking about the whole picture, you are going to end up with a chip that will lose you money. This is actually one of the things that killed Butterfly Labs (among many) — they designed a high performance chip that produced hundreds of watts of heat. By comparison, Bitmain chips are typically about six watts each. Where Bitmain is able to throw on a forest of fat heatsinks, Butterfly Labs had to struggle with expensive, cutting edge, unreliable cooling systems, and that ultimately meant their powerhouse chip was late to market and too expensive to operate. People tend to under-estimate Bitmain. Yes, they have the most money, and yes, they dominate because of their economies of scale. But they also dominate because they’ve got the fastest to-market time of any company. They dominate because they’ve got the best chip developers in cryptocurrency. They dominate because they’ve innovated in dozens of places to squeeze costs and inefficiencies out of corners that most people aren’t aware exist. They hire the best people and pay them well. And they work hard to make sure that at every iteration, they are the ones on top. There’s not a whole lot more to say here. I feel that a lot of people under-estimate Bitmain or assume that because they play dirty they wouldn’t be able to keep up without playing dirty. But that’s not true. They play dirty because it’s yet another place they can optimize their business, and because they know they can get away with it. Everything else they do is highly optimized as well. If we want to understand mining, we need to appreciate that the entity that controls most of mining today is an impressive, highly skilled, well refined entity. The biggest takeaway from all of this is that mining is for big players. The more money you spend, the more of an advantage you have, and there’s not an easy way to change that equation. At least with traditional Nakamoto style consensus, a large entity that produces and controls most of the hashrate seems to be more or less the outcome, and at the very best you get into a situation where there are 2 or 3 major players that are all on similar footing. But I don’t think at any point in the next few decades will we see a situation where many manufacturing companies are all producing relatively competitive miners. Manufacturing just inherently leads to centralization, and it happens across many different vectors. Though that’s discouraging news, it’s not the end of the world for Bitcoin or other Proof of Work based cryptocurrencies. Decentralization of hashrate is a good-to-have, but there are a large number of other incentives and mechanisms at play that keep monopoly manufacturers in line. A great example of this is the Bitcoin / Segwit2x situation. More than 80% of the hashrate was openly in support of activating Segwit2x, and yet the motion as a whole failed. There are plenty of other tools available to cryptocurrency developers and communities as well to deal with a hostile hashrate base, including hardforks and community splits. The hashrate owners know this, and as a result they are careful not to do anything that would cause a revolt or threaten their healthy profit streams. And now that we know to expect a largely centralized hashrate, we can continue as developers and inventors to work on structures and schemes which are secure even when the hashrate is all pooled into a small number of places. This is a patch release that adds functionality to the renter and improves its performance. @[email protected] implemented HTTP file streaming, allowing you to stream videos and other content directly from Sia hosts. They also added rate-limiting, so you can prevent Sia from hogging all your bandwidth. @[email protected] added a new API endpoint for hosts that reports information about contracts formed with renters. I'm sure this will be widely appreciated by users who want more insight into their host's behavior. Thanks! And another "thank you" to everyone else who contributed to this release:@[email protected], @[email protected], and everyone who tested our release candidates. 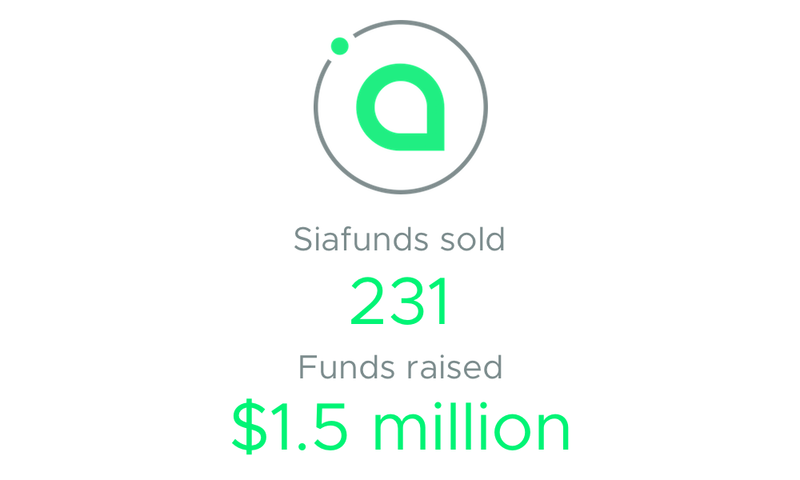 June was another great month for Sia. We released 1.3.3, which brings decentralized video streaming to market. Great community projects kicked into gear — plugins for Sia, and a new group dedicated to testing the platform both launched. And there are now more places than ever to buy and trade Siacoin. Read on for the fabulous details. Sia version 1.3.3 was launched! With it came decentralized video streaming, the first platform of its kind to offer such a feature. We’re incredibly proud of this release. If you’re interested in testing video streaming, you can follow this tutorial. Among other updates were a large number of stability fixes, many of which followed from improvments to our testing infrastructure. We have moderately reduced the memory requirements of Sia, and moderately increased the scalability of Sia. 1.3.3 included @nielscastien’s API endpoint for hosts that reports information about contracts formed with renters. A few days after the release of 1.3.3, the Sia team patched a bug with the transaction history list. If your wallet balance is correctly identifying transactions, but those transactions aren’t showing in your history, update to the latest. You can also check out the full release notes. Community members RBZL and Danger have launched SiaPlugins.com, the first ever repository for plugins to expand the functionality of Sia-UI. You can currently download plugins for dark mode, official links, and a wrapper so you can view the SiaSetup website within Sia-UI. This is a very cool project and there are lots of possibilities here. Two great examples are the upcoming plugins Sia Companion and Sia Dashboard. 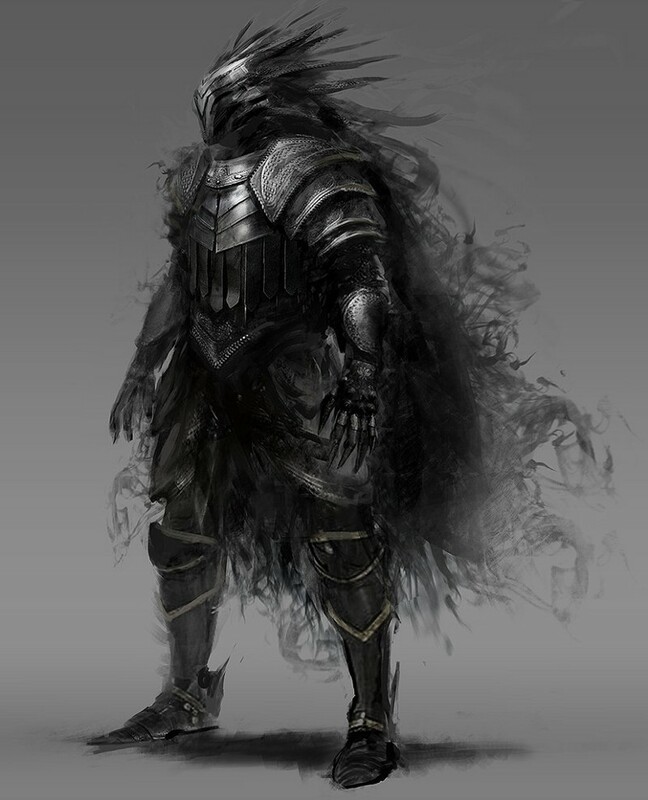 Sia Companion is an idea that Danger has been working on for a while. This plugin will provide tips and, most importantly, help automate some of the more cumbersome troubleshooting steps like deleting data folders and re-syncing the blockchain. Sia Dashboard will offer one central place for all things Sia, including information on the network, mining, and other handy features. While the plugins from this site can be considered safe, be careful if you download one from another source. A plugin could be used to compromise your wallet. The Sia Test App Community is a group of volunteers with the goal of benchmarking the performance of each Sia release. Fornax, one of our Discord moderators, recently conducted their first test on Sia v1.3.3. The group is joined by mtlynch and backed by wskeen and the Sia Bounties group. Check out their initial post on Reddit for more info! Eddie Wang has joined the development team full-time! You might remember Eddie as one half of Luxor, the team behind one of Sia’s mining pools and the crew who built our redesigned website. Eddie will be focusing on a handful of front-end tasks, one of which will be the complete overhaul and redesign of Sia-UI, our official app. 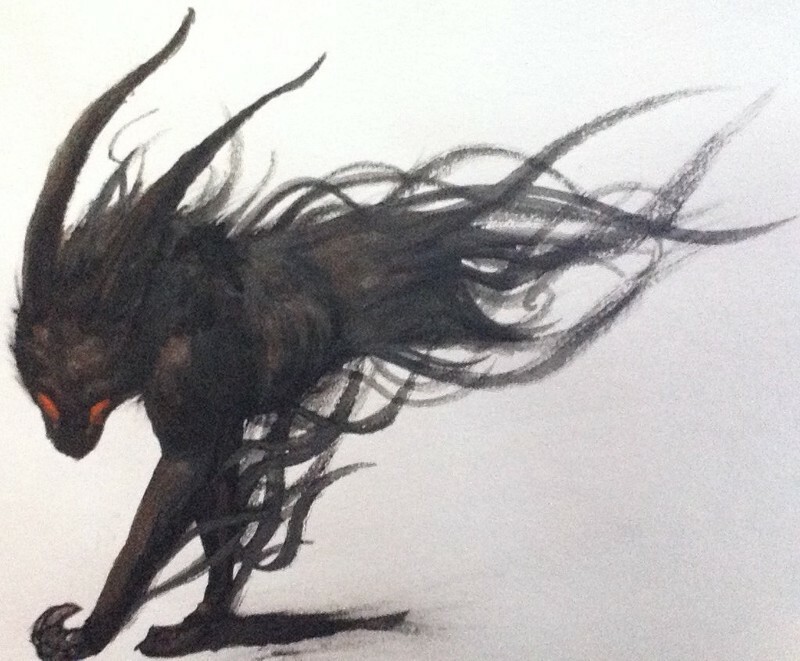 I’ve had the chance to see a couple early concepts, and they look beautiful. He’s @eddiewang in Discord, go say hi if you haven’t already. Over the past month, 2 Nebulous repos were updated. 29 issues were closed, 21 were created, and 35 pieces of code were added to the core codebase. We have a snapshot of updates here, but tbenz’ official updates can be found weekly in the #announcements channel in Discord. The release of Sia v1.3.3 was the biggest news to be found here. Our next target is 1.3.4 (surprise) and we expect to be able to bring some great new features to the table. ChrisSchinnerl, lukechampine, MSevey, DavidVorick, eddiewang, and Fornax96. I also want to thank @hakkane in Discord for covering the development updates for a couple weeks. They were similarly packed full of info and incredibly useful to the Sia community. June was our best month yet for Siacoin on exchanges. We added two powerhouses – Binance and OKex. 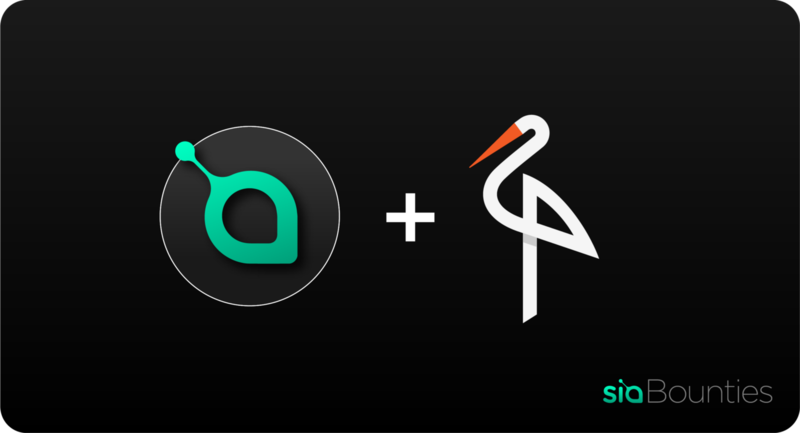 I’d like to thank the teams involved at both exchanges for their work in realizing Siacoin tradable pairs, and the Sia dev team for the advice they’ve offered in tandem. Binance offers SC/BTC, SC/ETH, and SC/BNB. OKex offers SC/BTC, SC/ETH, SC/USDT, and SC/OKB. For those of you who enjoy seeing the digits tick up, I wouldn’t get too excited until the larger cryptocurrency market turns around. It’s no secret that buzz about the space is still largely tied to the price of the tokens, and with Bitcoin down 60% from the beginning of the year, many have decided to take a break. Still though, the YouTube channel saw 13% growth month over month. Viewers consumed 180 hours of content from SiaTV, and our average view duration was up almost 20%. These are all good signs for our youngest outlet. Twitter also ticked up nearly 3%, and the rest were flat. I’m proud of what we’ve accomplished in half a year, and I’m amazed at what our users have been working on. In the coming months we’ll see 1.3.4 and big updates to Sia-UI. It’ll be exciting times. This week we finalized a migration from GitHub to GitLab, something we’ve been looking at doing for over a year. There are a few reasons that we made the move but the most compelling reason is GitLab’s commitment to open source and self hosting. GitHub has become something of a backbone for open source projects over the past few years. This is ironic, as GitHub itself is closed source and centralized. The biggest implication here is that we need to trust that GitHub is going to be a good caretaker of the open source projects and communities. We are trusting that GitHub will not ban key members of projects, will not arbitrarily give project namespaces to other projects, and while to-date they have been very good stewards, we currently depend on GitHub continuing to be good stewards, which violates a key principle of decentralization. I don’t want to overstate the amount of control that GitHub has. We still sign our binaries with a private key that GitHub does not control; they cannot imitate us or release malware that wouldn’t get caught by a simple signature verification. But we do depend on GitHub for core infrastructure — including things like issue tracking, project discussion, and community development — and the Sia project would experience a substantial setback if GitHub were to shut down our project for any arbitrary reason. GitLab on the other hand has aligned themselves much more with the true open source philosophy. 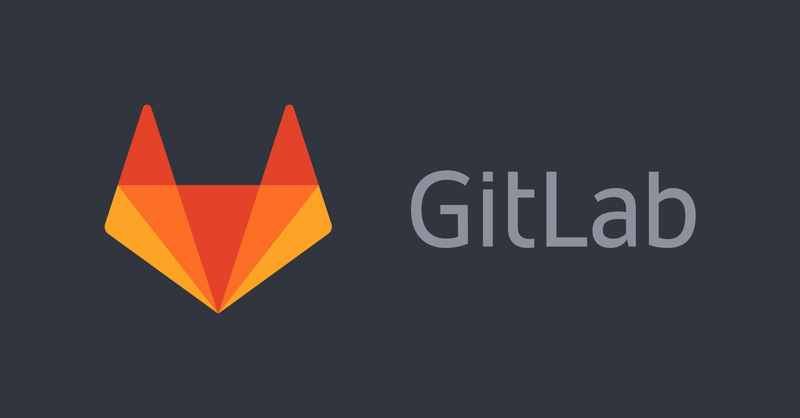 GitLab is an open source project, and even more than that they provide tools for self-hosting. This means that if GitLab ever goes down, bans us, or otherwise takes actions that we strongly disagree with, we can switch to using our own servers or some other GitLab-based website’s servers without losing any of the GitLab features that we come to depend on. That’s worth saying again. If the centralized GitLab service ever acts in a way that is disagreeable or worrying, we can easily switch to our own self-hosted GitLab and continue enjoying all of the same features that we’ve always had. There’s no vendor lock-in, and we can choose to become fully independent at any time. To further ease that transition, we’re committed to setting up our own self-hosted GitLab instance within the next year (we will continue to use the centralized version as our primary repository however, mostly because they have better uptime guarantees than we can provide with a self-hosted instance). Nebulous is committed to decentralization. And that means highlighting and using projects that move the world in a decentralized direction. In the case of GitHub vs. GitLab, GitLab is clearly the more free and more decentralized choice, and we feel that this switch aligns well with our long term goal to keep the world’s core infrastructure decentralized. Beyond the commitment to decentralization, GitLab also offers a substantial number of features which are not available on GitHub, and we are already seeing improvements to our developing process. One of the biggest things we’ve been excited about is the flexibility of continuous integration and testing on GitLab. GitLab has excellent native support for running tests, including providing their own machines (called runners) to run tests on every merge request into the Sia project. The runners produce artifacts, which in our case means that we can view the logs for any test that failed, something we haven’t been able to do with our existing CI, and something that has made our lives a lot easier when a test is failing. The GitLab testing toolkit also includes support for things like complex testing pipelines and local runners, both of which are tools we’ve already used productively since switching to GitLab. GitLab also includes better access controls. A few months back, we added user Tbenz9 to our GitHub repo to help us manage the mountain of issues that had built up and gained neglect. Unfortunately, the only way we could give him access to issues was to also give him write access to our codebase. We didn’t want him to be able to push code to Sia (out of a concern for security), however we decided that it was an acceptable risk and that we really wanted his help on our issue tracker. On GitLab however, we have the ability to grant users and community members the right to edit and administrate issues on the issue tracker while still ensuring that they can’t push code. And that’s just the beginning. Overall, we’ve found very quickly that Gitlab is more oriented around developer teams and productivity than Github is, and we’re already seeing that Sia development is moving faster thanks to Gitlab. We’re currently very happy with the switch, and would openly encourage other projects to do the same, whether they care about the decentralization aspects or not. This is a patch release that focuses on stability and correctness improvements to the renter. In addition to a bunch of minor improvements, contract spending is now reported more accurately, and individual contracts can be canceled without canceling the whole allowance. As a reminder, the Sia project has moved to GitLab, but we will continue to make GitHub releases for backwards compatibility with siac update. The Sia Weekly Update! Featuring updates to our roadmap and the latest info on the upcoming hardfork.